The Gould Ranch Cattle Company is a family owned and operated ranch. It all began in 1971, when at the age of 19, Guy Gould bought a cow herd and leased a ranch near Lyons, Colorado. We now run between 300 and 400 Registered Irish Black® and Irish Red® cattle, 1000 commercial cows, and raise foundation bred Quarter Horses. We also have a small feedlot at the ranch headquarters where we background calves, develop bulls and heifers, and finish cattle that we sell for freezer beef. The ranch corporation consists of Guy and his wife Sherry. 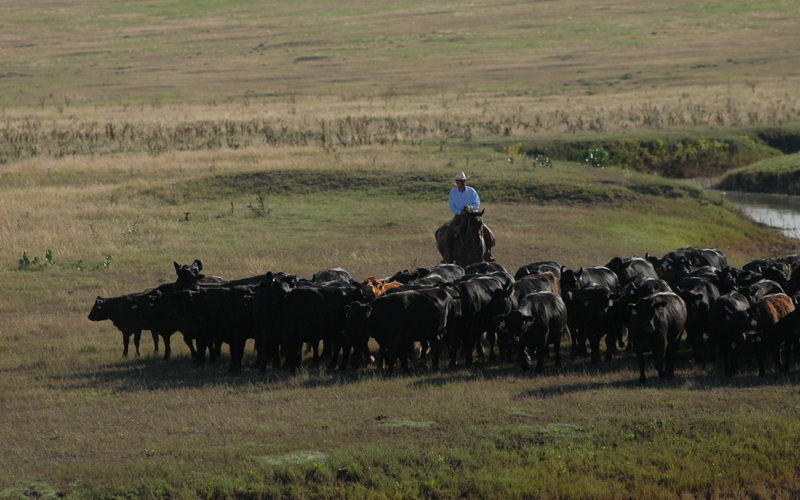 Guy Gould started raising cattle in 1971. He was 19 years old when he purchased his first herd of commercial cattle in the Lyons, Colorado area. He tried several other breeds, but wasn’t achieving the results he was looking for. With some breeds the weaning weights were good, but he gave up ground in the fertility and calving ease. When he fixed the calving problems and fertility, his weaning weights crashed. He thought there’s got to be something better out there that can balance out both traits. He had heard about the Irish Black® breed, and was told that the Irish Blacks® could put 100 pounds on the calves at weaning. He was also told that all it would take was 2 bulls for his 140 cows he had at the time. He purchased his first Irish Black® bulls and sure enough, the bulls did settle all 140 cows. The result was calves that weaned 104 pounds more than the previous year calf crop! Guy had started out as a commercial producer. He grew up a commercial man, but over the years he transitioned to the seed stock production. 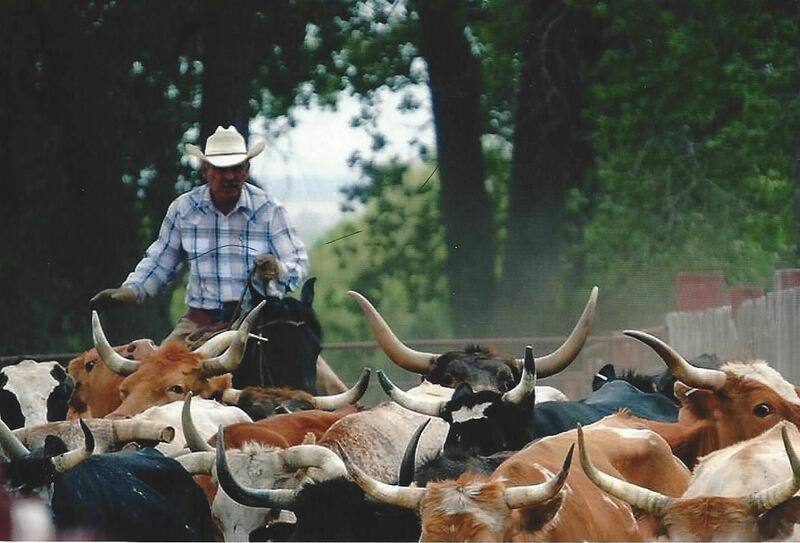 Guy and Sherry began building their seed stock business with the Irish Black® cattle breed that continues today as Gould Ranch Cattle Company. The Gould’s ranch is located in the Fort Morgan, Colorado area. We focus on the Irish Black® breed primarily. Guy began as a focused commercial producer, but he understood the need for a better quality of seed stock. Guy wanted to share the qualities that he had found in the Irish Black® breed. We now sell Irish Black® and Irish Red® bulls, females, and pairs as well as our own boxed beef. We develop about 50 head of Irish Black® and Irish Red® bulls here on the ranch and sell them each spring in private treaty. All of our boxed beef cattle are also raised here on the ranch. We finish them in our feed lot free of hormones and steroids. We also a 1000 head commercial herd that we run in the Rocky Mountains of Colorado near Hartsel, Colorado. 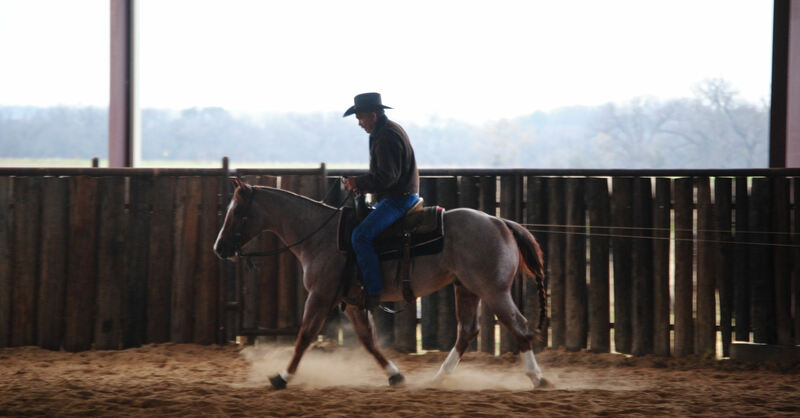 Along with the cattle, Gould Ranch Cattle Company also raise, train, and show AQHA horses. Gould Ranch Cattle Company has been part of the Legends of Ranching Program with Colorado State University since 2012, and participants in the AQHA Heritage program since 2011. 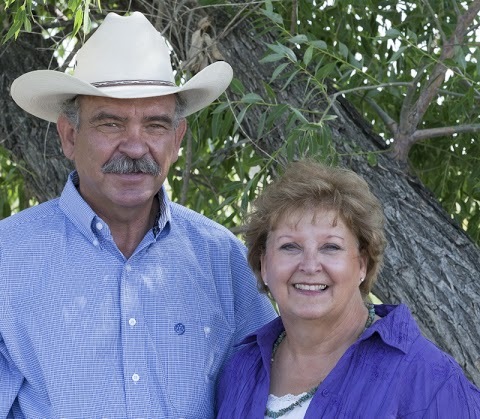 The Guy and Sherry Gould are long standing producers of Irish Black® and Irish Red® cattle. Irish Blacks® and Irish Reds® are registered with the Irish Black Cattle Association. We produce the Irish Black® and Irish Red® breed because of their outstanding carcass quality, transition of early maturity, and the positive consistent gene traits emphasized in the breed. Our ultrasound records have proven to us that these calves reflect the same quality year after year. After Gould Ranch began breeding Irish Black® and Irish Red® cattle, we began test feeding and marketing freezer beef from our ranch. This was done to get reaction from consumers and feedback about the tenderness, flavor, and juiciness of the product from herd sires we were using to develop seed stock sires for the general public. The idea being to determine at least that our herd sires were producing a quality eating experience from their fed offspring. In hopes that seed stock from these same sires would do the same. We test feed some 150 head per year with a challenge guarantee to any consumer that if the product they received was not superior to or as good as anything they had ever had, we will either replace that product or refund their money with no questions asked. Since we began our test feeding, we received quite the opposite. We’ve received numerous requests for product that at most times we could not keep up with. 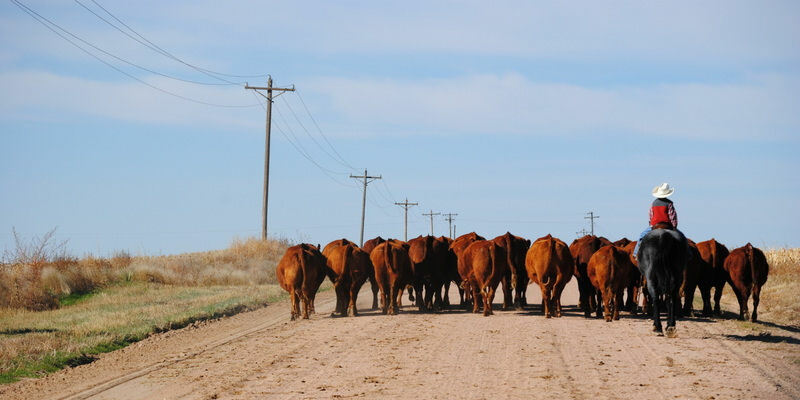 During this same period of time when bull buyers or prospective customers would come to the ranch we would feed them dinners of steaks and various cuts from our production. In 2010, we traveled to Utah to invite producers from their prospective areas to attend free BBQ steak dinners and see a display of Irish Black® and Irish Red® bulls. A power point presentation on the Irish Black® and Irish Red® cattle was given, followed by a question and answer period from those producers in attendance. Perhaps the greatest revelation that would come from the two meeting would be the enthusiastic response from the producers attending. They were amazed at the quality of steaks they had eaten. Through years of feeding, we discovered that due to the high concentration of genetics and the tight gene pool represented by our line bred Irish Black® and Irish Red® cattle, the meat quality would be virtually the same on every animal that we crossed our Irish Black® and Irish Red® cattle on. Irish Blacks® are known for their genetics, longevity, uniformity, and carcass quality. The Irish Black® gene pool is small, reducing chances of undesirable throwback traits that come from crossbreeding. Genetic purity produces consistent predictable results. Females are fertile, with a high calving ease, greater udder quality, and maternal qualities. Their large pelvis assures rare calving problems. Females are also known for their shorter gestation period of 277 days, which will produce more offspring in her lifetime. Males possess longevity and pass on low birth weight calves. Progeny are mostly black hided with a high carcass quality and large rib eye. The calves are early maturing and have a high rate of gain. Their meat is known to be very tender with high marbling. The most difficult challenge that we face is simply getting people to take a look at them. Once they do, and we show them the performance and cut-out data from ultrasounds that are performed at 18 months, they are sold! We very rarely have anyone show up who doesn’t end up buying some of these cattle. Irish Black® and Red cattle® not only make it more profitable for people producing registered Irish Blacks® and Irish Red® seed stock, but also for the commercial producer to raise a high performing profit making cattle that excel in beef quality. This is why we run Irish Black® and Irish Red® cattle. We would like to offer them to others to purchase and be a part of this great new industry for the Irish Black® and Irish Red® cattle breed.